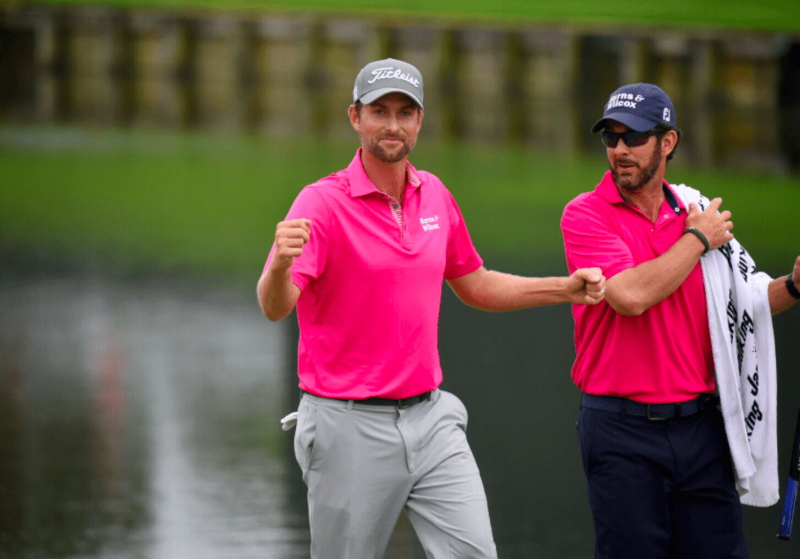 On Mother’s Day, Webb Simpson won the 2018 PGA Tour Players Championship. Simpson dominated the tournament throughout the weekend, which saw him tie the course record with a 63 in the second round as he took over and never looked back. Through three rounds, he was at 19-under and poised to achieve his biggest tour victory since winning the U.S. Open in 2012. Staked to a 7-shot lead on Sunday, Webb closed the day with a 1-over 73 for a 4-shot victory. Not one golfer got closer than four shots, as Simpson finished an impressive performance. Late last year, Simpson’s father passed away at the age of 74 after battling Parkinson’s Disease and Lewy Body Dementia. In a press conference following his victory on Sunday, Simpson said that winning this tournament on Mother’s Day was special. Simpson said that after his father’s death, he thought it would be very difficult for him to get back on the course and return to the sport he loves, but it was actually quite the opposite. "I thought before he passed that maybe the golf course would be the hardest place to be … but I think it's my favorite place to be. That was where we had most of our memories was on the golf course." In a 2012 interview with Sports Spectrum, Simpson talked about his faith and how it has helped him as he stepped on the golf course. You can read the entire article by clicking below.